Phoenix Marathon Training Kicks Off! Day #1 of Phoenix Marathon training is in the books. Nothing like 1k intervals in 19 degrees, wind, snow and dark to kick off training for a warm weather marathon! I was really happy with the workout – nailed the paces and, more importantly, the perceived effort for the paces. 1k intervals are fun. Long enough that the pace isn’t horrible fast like 200s or 400s. But short enough so that you don’t want to die like when you do mile or two mile repeats. I love kicking off marathon training with a workout like I had today (interval stuff). It feels like “real” training. One thing that always bugged me about the Pfitz plans was that Day #1 of marathon training started with a rest day. I always start off marathon training with good intentions to eat well. And it usually lasts for a bit. Today it lasted until another marathon buddy and I decided to meet for 1/2 price burgers and beer – tonight! Baby steps. At least I ate a healthy breakfast and lunch and stayed away from the Dove dark chocolate dish at my office. If I don’t get the run done in the morning, it’s REALLY hard to motivate myself to brave the cold after I’m already in work clothes. Must make sure to run early! This plan is very different than anything I’ve done. Even though its a 16 week plan, my coach doesn’t like 16 weeks of marathon training (I agree; my favorite have been 12 weeks – its easier not to lose focus and I feel like I peak at a better time). SO – it’s actually in two chunks. First I’m doing 4 weeks of workouts that are really more like a half marathon training plan – focusing on shorter, speedier stuff. Then 12 weeks out from the race I’ll start more marathon specific stuff. Right now I’m 5 weeks post Chicago. 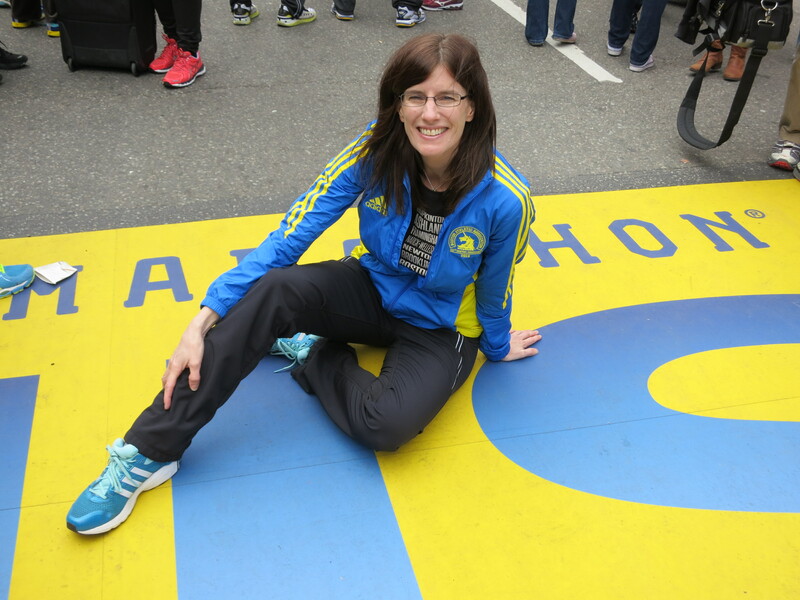 Boston will be 6 weeks post Phoenix – so I was evaluating my body and mental state and how I feel to see if I’ll be able to handle running Boston just six weeks after Phoenix. And I think I will be able to. I couldn’t now – but that’s because I let myself go more – physically – than I will after Phoenix because I had nothing on the schedule for a marathon and a crazy work schedule. So, it’s all good. I thought of you at 6:30 am as I went out. 18 degrees (feels like 8) was the forecast, with light snow on the way home….it only gets better from here, right?? ?